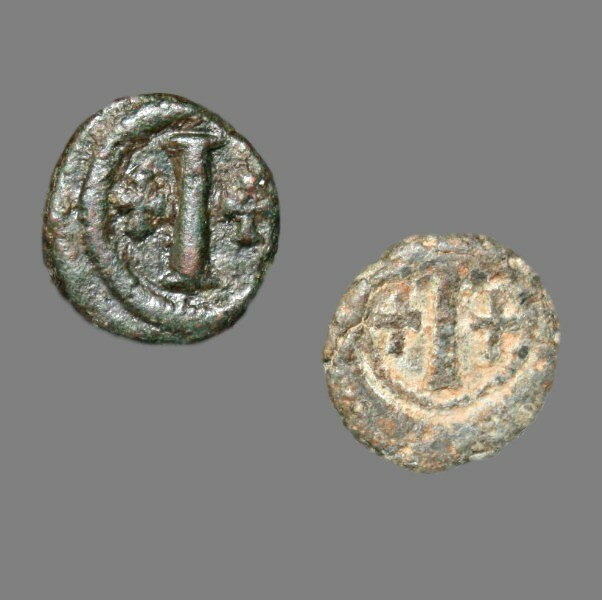 Half follis dated 527-565 AD, struck under Emperor Justinian I. Grading: F. Reference: Sear (1987) 366. 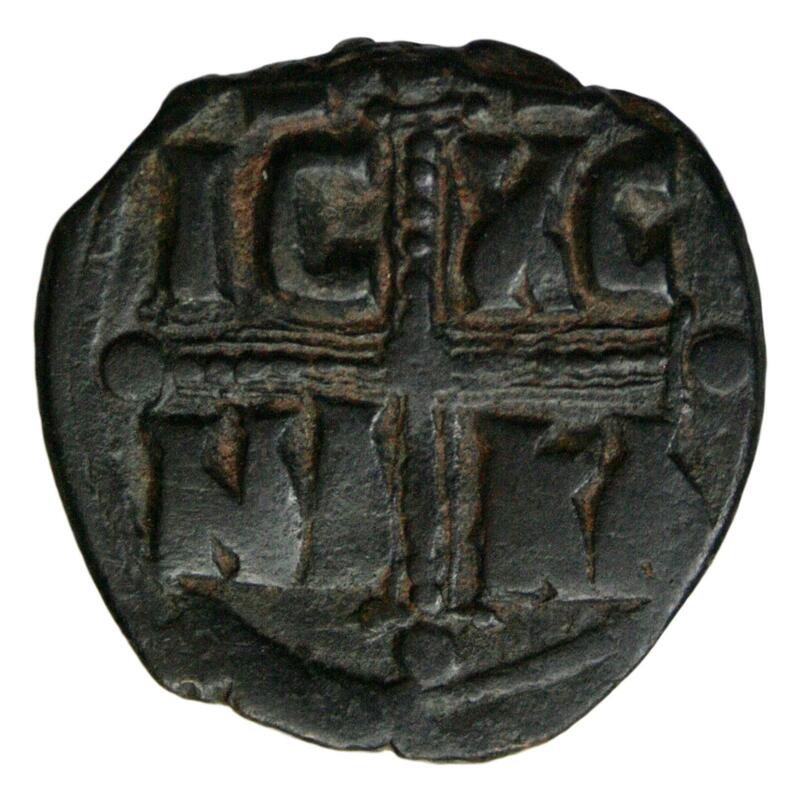 Weight: 17,28 g.
Follis dated 527-565 AD, struck under Emperor Justinian I. Grading: F. Reference: Sear (1987) 159. 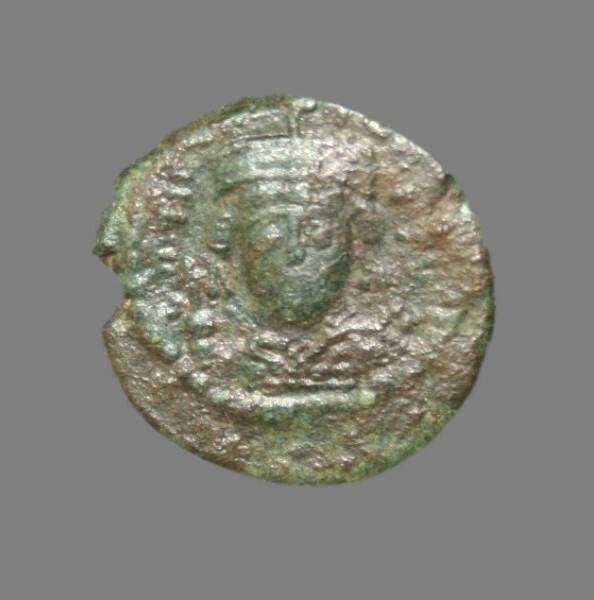 Weight: 17,28 g.
Follis dated 527-565 AD, struck under Emperor Justinian I. Grading: VG/F. Reference: Sear (1987) 292. 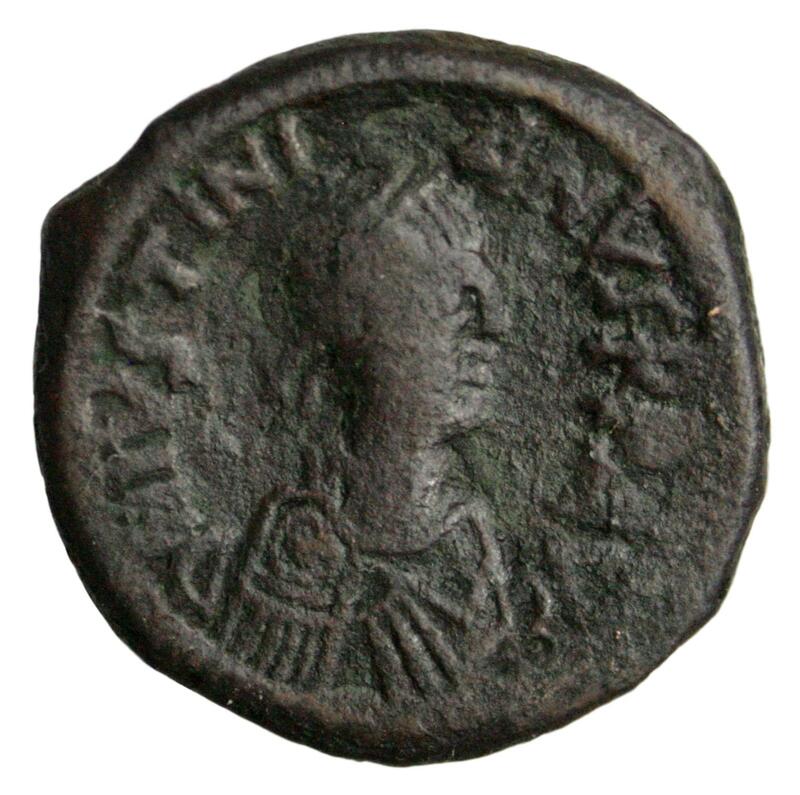 Weight: 15,69 g.
Follis dated 527-565 AD, struck under Emperor Justinian I. Grading: VG/F. Reference: Sear (1987) 292. 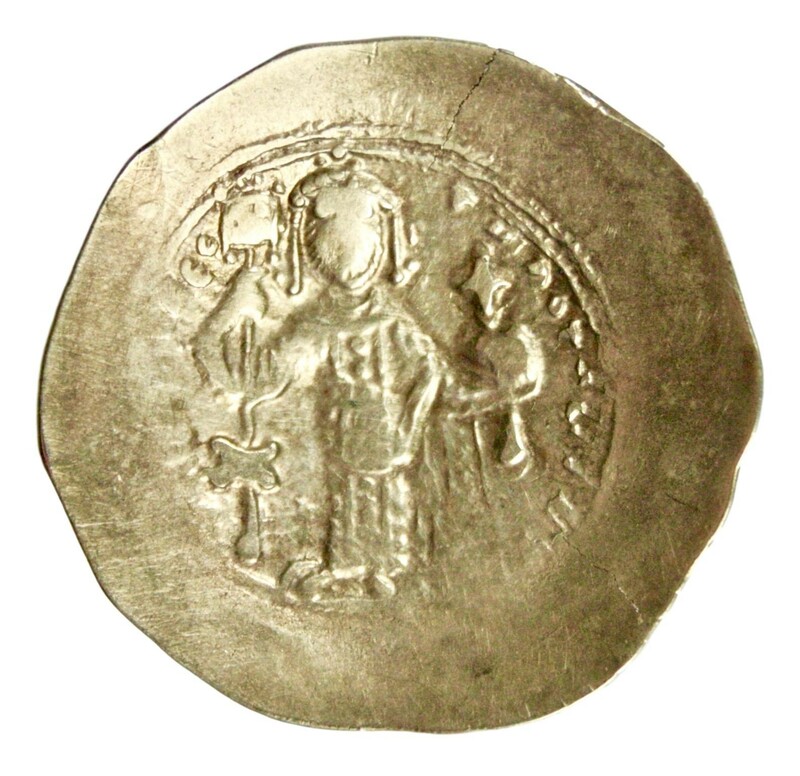 Weight: 15,06 g.
Follis dated 527-565 AD, struck under Emperor Justinian I. Grading: F. Reference: Sear (1987) 160. Weight: 15,12 g.
Follis dated ca. 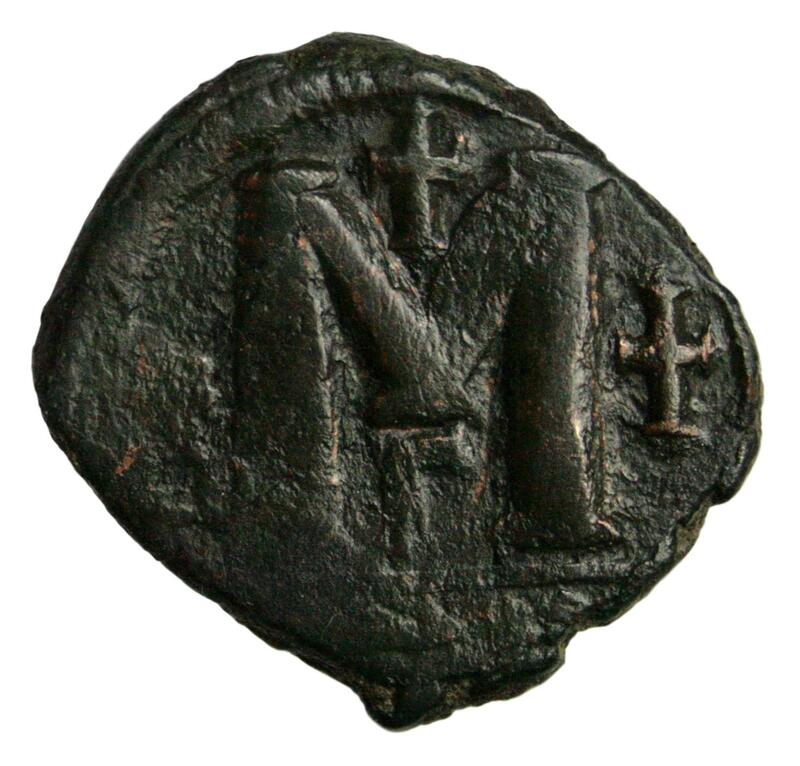 1034-1041 AD, struck under Emperor Michael IV. Grading: F/VF. Reference: Sear (1987) 1825 (class C). Weight: 10,94 g.
Histamenon Nomisma (el!) 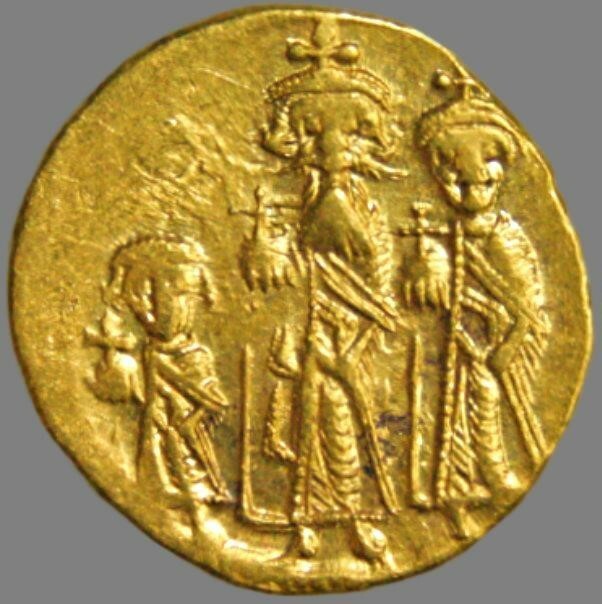 dated 1078-1081 AD, struck under Emperor Nicephoros III Botaniates in Constantinople. Grading: VF. Obv. : Emperor. Rev. : Christ Pantokrator. Reference: Sear (1987) 1881. Provenance: Upon request / purchase. 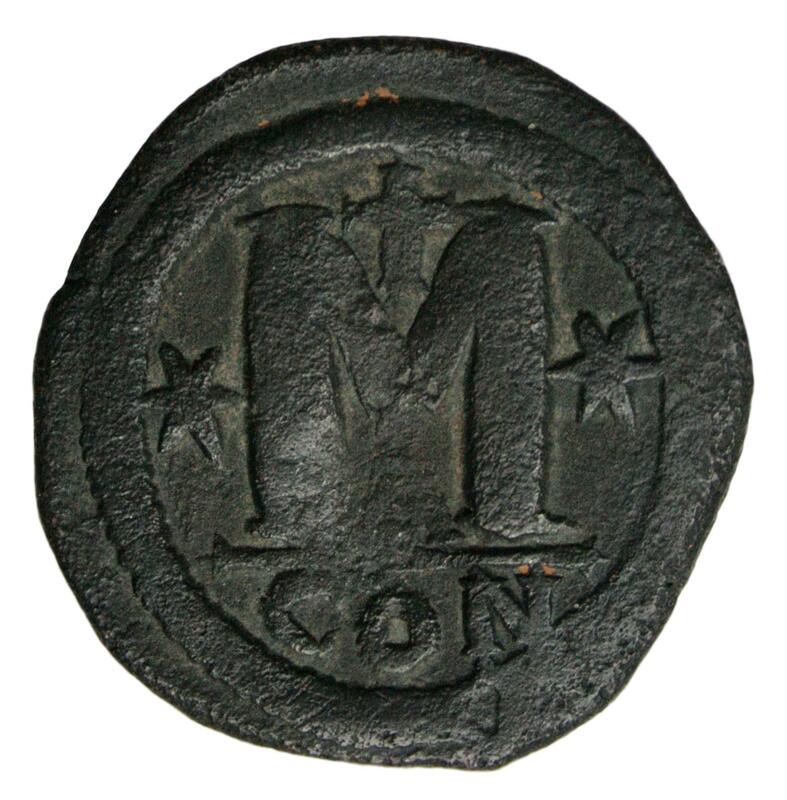 Weight: 4,25 g.
Hyperpyron (gold!) 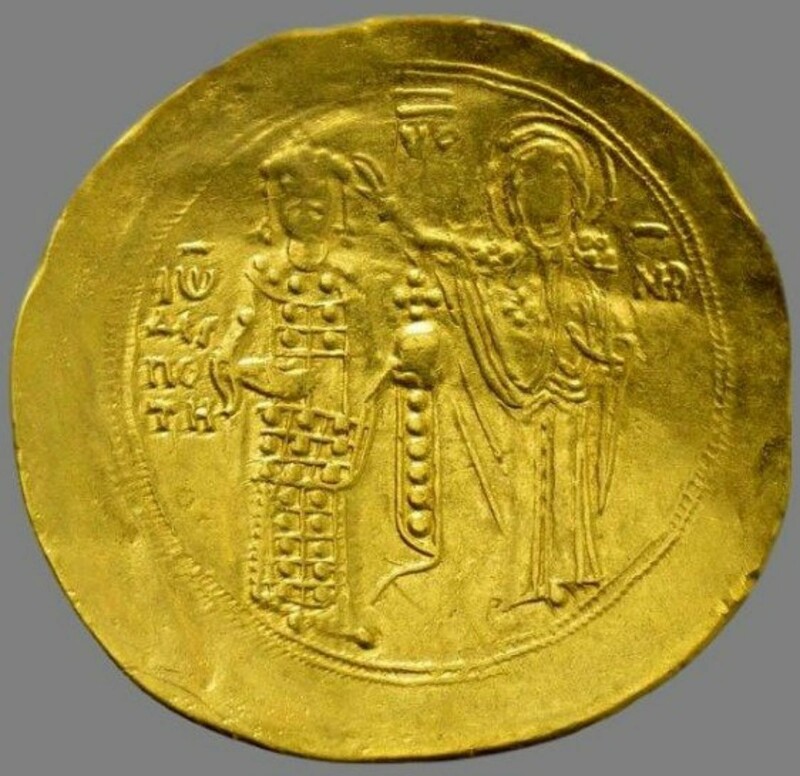 dated 1118-1143 AD, struck under Emperor John II Comnenus in Constantinople. Grading: VF/XF. Obv. : Christ Pantocrator. Rev. : Emperor John and Virgin Mary. Reference: Sear (1987) 1940. Weight: 4,25 g.
Solidus (gold!) 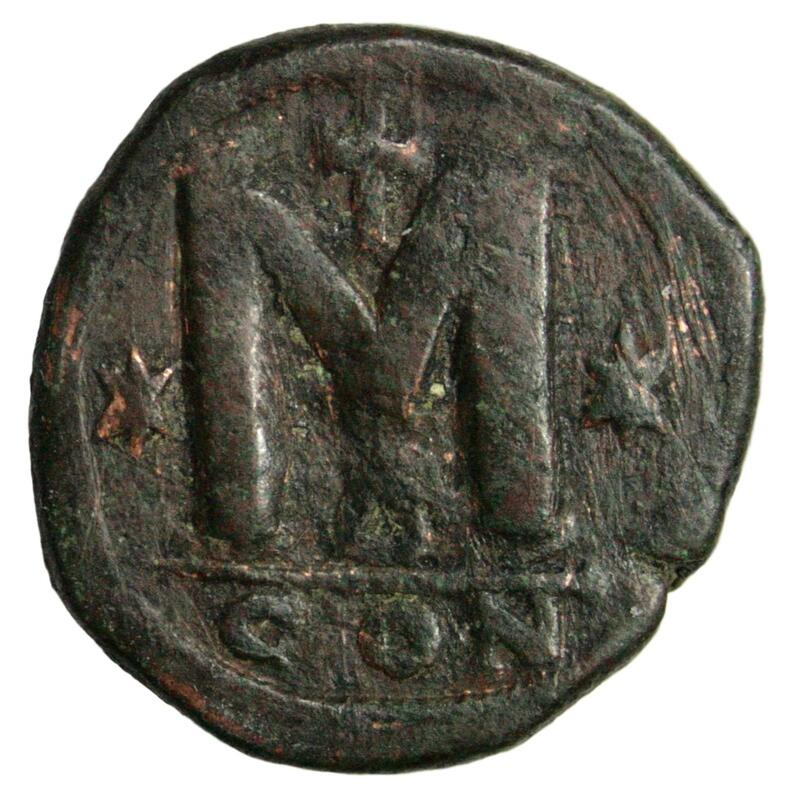 dated 610-641 AD, struck under Emperor Heraclius in Constantinople. Grading: VF. Reference: Sear (1987) 758. 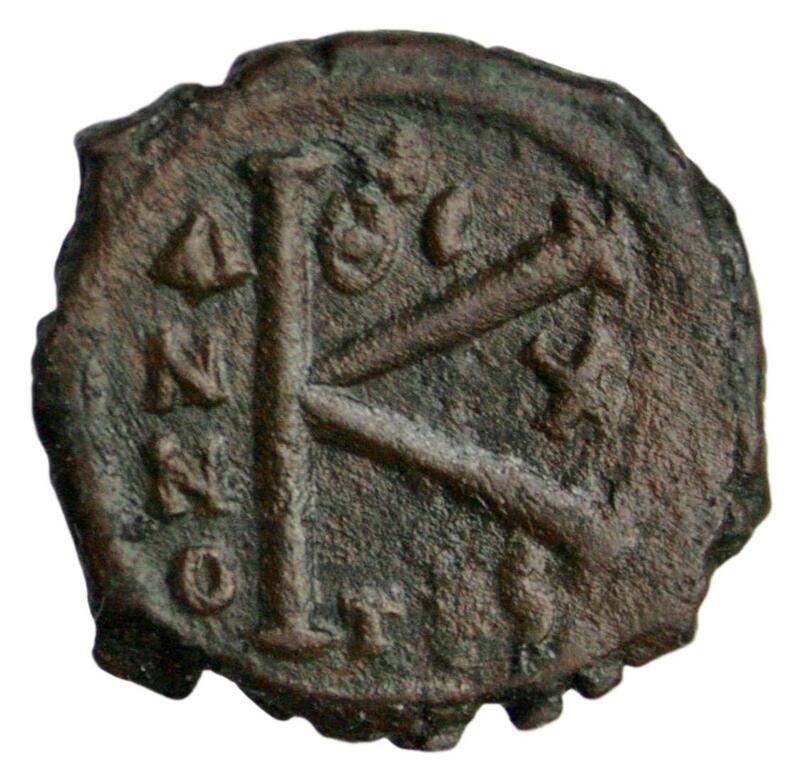 Weight: 4,46 g.
Billon trachea dated 1204-1261, struck for the feudal Crusader state called “The Latin Empire” in Constantinople and Thessalonica. At this time the Byzantine capital of Constantinople was ruled by the leaders that of the Fourth Crusade. Grading: Used. 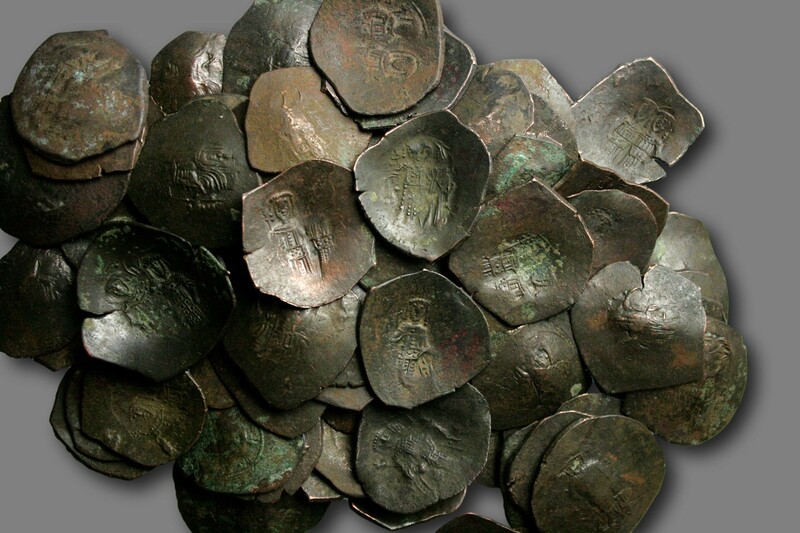 2 x decanummium dated 578-582 AD, struck under Emperor Tiberius II Constantine in Siciliy. Grading: VG/F. Reference: Sear (1987) 472. Provenance: Künker elive 32. Weight: 4,15 og 3,05 g.
Decanummium dated 578-582 AD, struck under Emperor Tiberius II Constantine in Siciliy. Grading: VG/F. Reference: Sear (1987) 472. Provenance: Künker elive 32. Weight: 2,91 g.